Summary: Vibrant, outgoing Jude and shy, artistic Noah are twins. They may not be identical, but they have been together forever. Despite petty jealousies over their parents’ affection, their mother’s ambition for both of them to attend a prestigious art academy, or the attention of local bullies, Jude and Noah can always find their way back to each other. When the unthinkable happens, their bond is shattered and their roles seem to reverse, leaving the twins isolated from each other and their true selves. Brother and sister each have a piece of the whole story of what happened, but because of their grief and guilt, neither of them will share it or begin to help the other heal. As we learn about these fully realized, complex characters – Noah narrating from age 13 and Jude from three years later, readers see how it all fell apart. 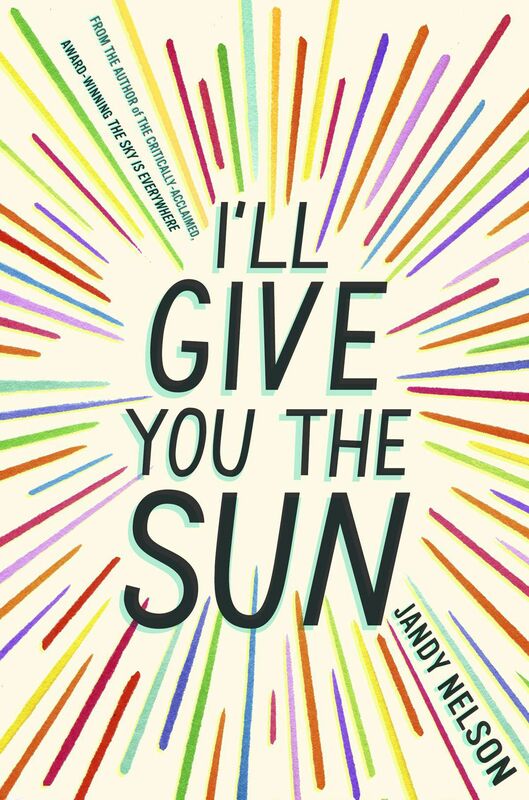 This Printz Award-winning book will stick with you for a long time – it is literally gorgeous to read, especially the chapters from Noah’s perspective. It can be heartbreaking and laugh-out-loud funny, often in the same paragraph. Who will like this book: Fans of literary fiction. GLBT readers. People who like stories that make you put the pieces together. If you like this, try this: The Sky is Everywhere, also by Nelson. The Perks of Being a Wallflower by Stephen Chbosky. All We Know of Heaven by Jacqueline Mitchard. 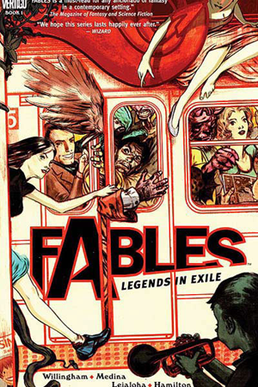 Summary: First printed in 2002, the comic series Fables has endured, becoming one of the most beloved continuing series in recent memory. Forced out of their familiar Homelands by a dark and deadly figure known only as the “Adversary,” the legendary characters of myth and tall tales made their way to our world to establish Fabletown, where, as immortals, they have lived and thrived into our modern age. But the people you meet on these pages bear little resemblance to your favorite cartoon royals and monsters. When Jack (of Beanstalk fame) rushes to tell Bigby Wolf, sheriff of Fabletown that his girlfriend, Rose Red has disappeared and their apartment is covered in blood, an investigation into a possible murder begins. Following Bigby’s every move is Snow White, Rose’s sister and deputy mayor of Fabletown. Over the course of its 12 year run (collected into 20 volumes so far), Willingham weaves in both beloved figures from the most popular fairy tales to obscure characters you may have never heard of. 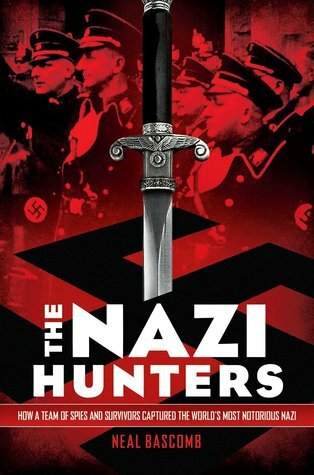 The nature of the story also changes, from murder mystery to domestic drama to epic quest. This is a great story to curl up in, because the twists and surprises will keep you turning pages, and some will even break your heart. With the end of the story coming soon (in early 2015,) this is the perfect time to start Fables at the beginning. Who will like this book? : Mature readers who like ‘fractured’ fairy tales – new spins on familiar stories. TV watchers looking for something a bit grittier than Once Upon a Time. Fans of ongoing graphic novel series such as The Walking Dead. If you like this, try this: Into the Wild and Out of the Wild by Sarah Beth Durst. Dorothy Must Die by Danielle Page. Through the Woods by Emily Carroll. The series The Unwritten by Mike Carey. And if you can’t get enough of the Fables world, read the prequel, 1001 Nights of Snowfall. Summary: Aristotle and Dante meet for the first time at a public pool in El Paso, where Dante offers to teach Ari how to swim. Over the long summer of 1987, the two boys, both loners, become best friends. Dante is confident and free-spirited. Ari, with an older brother in jail and a father emotionally scarred by his time in Vietnam, is more guarded and unsure of his place in the world. Over the course of the next year and a half, the extraordinary relationship between Ari and Dante is tested, first by an accident, then by a separation, and finally by a revelation: Ari is into guys. After they reunite for another summer, Ari must come to terms with how he has changed in the past year, the secrets about his family’s history and his own uncertainty about his feelings for his best friend. This is a lovely story about what it means to be a friend and what it means to become a man. Ari and Dante will live on in your heart long after you’ve finished turning the pages of this book. Who will like this book? : Readers who like beautiful, poetic language. Romance fans. Teens who are questioning their place in the world. If you like this, try this: Ask the Passengers by A.S. King.